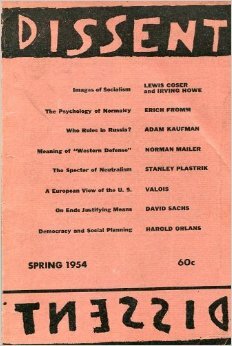 The first issue of Dissent in 1954. Dissent's founder, Irving Howe. The current (Winter 2015) issue of the magazine. Franklin Foer recently resigned from his job as editor of the New Republic in protest against the direction that its new billionaire publisher, Chris Hughes, wanted to take the magazine. So he may be understandably angry at opinion magazines in general. 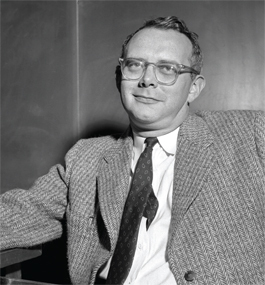 But that's no excuse for his failure to mention one of the nation's most venerable journals of opinion, Dissent, in his otherwise excellent 1,260-word review in this Sunday's New York Times Book Review of Irving Howe's collected essays, A Voice Still Heard, edited by Howe's daughter Nina. Howe, one of the greatest political and literary critics of his generation, was Dissent's founder and editor. The magazine was central to his identity, his circle of friends, and his influence. From the 1940s through the 1990s, Howe wrote hundreds of essays for a variety of publications, including the New Republic, Commentary, Partisan Review, Politics, the New York Review of Books, Harpers, the New York Times, and others. But Howe published more essays -- particularly those about politics -- in Dissent than anywhere else. Four of the 26 essays included in this new volume -- "New Styles in Leftism," "Two Cheers for Utopia," "Reaganism: The Spirit of the Times," and "What's the Trouble?" -- originally appeared in Dissent. Howe co-founded the magazine in 1954 with sociologist Lewis Coser and edited it until his death in 1993. ("When intellectuals can do nothing else, they start a magazine," Howe quipped in the first issue). The magazine, which has always identified itself with democratic socialism and independent radicalism, began and remains a forum for tough-minded political analysis and debate. During those four decades, Dissent was Howe's intellectual home. The magazine always operated on a bare-bones budget and mostly volunteer or poorly-paid staff. Howe didn't earn a dime from Dissent. He made his living writing for more prosperous publications and teaching at Brandeis University, Stanford, and City University of New York. But it was through Dissent that Howe and his comrades sought to challenge the prevailing political orthodoxies of the left and right. Howe not only recruited some of the nation's most famous writers (including Norman Mailer) to publish in Dissent's pages, but he also used Dissent to identify and publish many lesser-known writers, including European intellectuals who were invisible within the United States. He also used Dissent as a training school for several generations of young leftist writers and editors, many of whom went on to distinguished careers. Political philosopher Michael Walzer co-edited the magazine with Howe for many years and then took over editorial responsibilities after Howe died. Michael Kazin (whose father, critic Alfred Kazin, was an occasional Dissent contributor) and David Marcus currently edit the magazine. Although its circulation was (and remains) relatively small, its steady influence, especially on liberal and progressive opinion leaders and activists, has been remarkable. No history of postwar American liberalism and/or radicalism can ignore Dissent's impact. There are already biographies of Howe by Gerald Sorin and Edward Alexander as well as Howe's own memoir, A Margin of Hope: An Intellectual Autobiography (1982), all of which acknowledge Dissent's central place in Howe's life and influence. 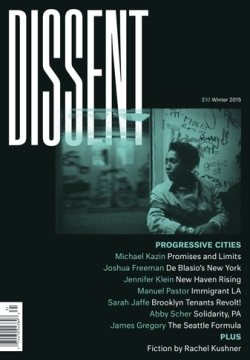 There are also several collections of the magazine's best essays, including Voices of Dissent: A Collection of Articles from Dissent Magazine (1958), The Radical Imagination: An Anthology from Dissent Magazine (1967), edited by Howe, and 50 Years of Dissent (2004), edited by Nicolaus Mills and Walzer. The best history of the magazine so far is Maurice Isserman's article, "Steady Work: Sixty Years of Dissent," published last year in its own pages. Also available are several previous collections of Howe's essays, many of them originally published in Dissent, including Steady Work: Essays in the Politics of Democratic Radicalism, 1954-1966 (1966), Celebrations and Attacks: Thirty Years of Literary and Cultural Commentary (1979), Selected Writings: 1950-1990 (1990), and Critic's Notebook (1995). And, of course, readers can go directly to Howe's books of literary criticism, biography, the history of radicalism, Yiddish culture, and his most famous contribution, World of Our Fathers, a history of Eastern European Jews in America (1976). Foer's oversight in omitting any reference to Dissent is unfortunate, but he can be forgiven. After all, Yale University Press's synopsis of the new book on its own website mentions several magazines where these essays were first published, but omits any reference to Dissent. As Howe might have said: Oy vey! Peter Dreier is professor of politics and chair of the Urban & Environmental Policy Department at Occidental College. His most recent book is The 100 Greatest Americans of the 20th Century: A Social Justice Hall of Fame (Nation Books, 2012). He writes occasionally for Dissent.